We were the first and are still one of only few Practices in the UK to have an in-house an 'I-CAT CONE BEAM CT SCANNER'. Blending innovation and patient comfort, the I-CAT™ Cone Beam 3-D Imaging System produces immediate three-dimensional images of patients’ critical anatomy, typically in under one minute. The I-CAT™ provides complete views of all oral and maxillofacial structures in an easy to use, cost effective, in-office system that allows us to dramatically enhance your treatment in a variety of ways. 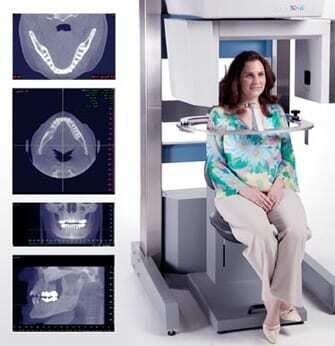 We are 1 of only few Practices in the UK to have an in-house an ‘I-CAT CONE BEAM CT SCANNER’. We also use lasers for gum contouring and teeth lengthening.